What's better than happy hour? An all day everyday deal! 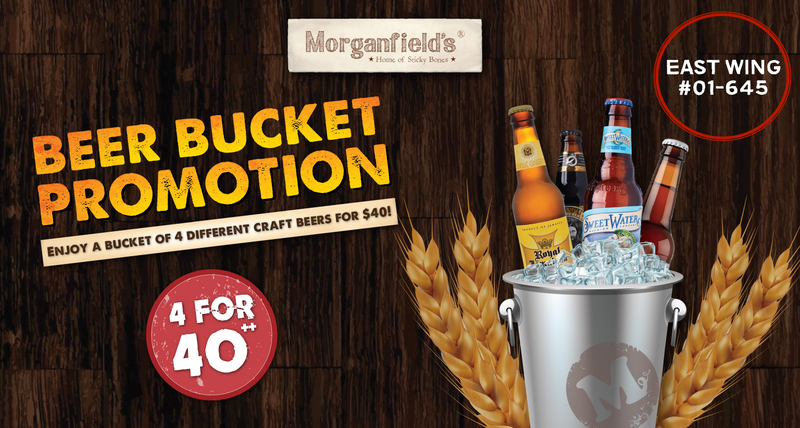 For the whole month of April, Morganfield's is offering an all-day everyday Bucket Deal Promotion of 4 craft beers for just $40! Hurry! Grab a bucket and chill with your friends in the afternoon, evening or night, any time you'd like! Prices quoted excludes service charge & government prevailing taxes.